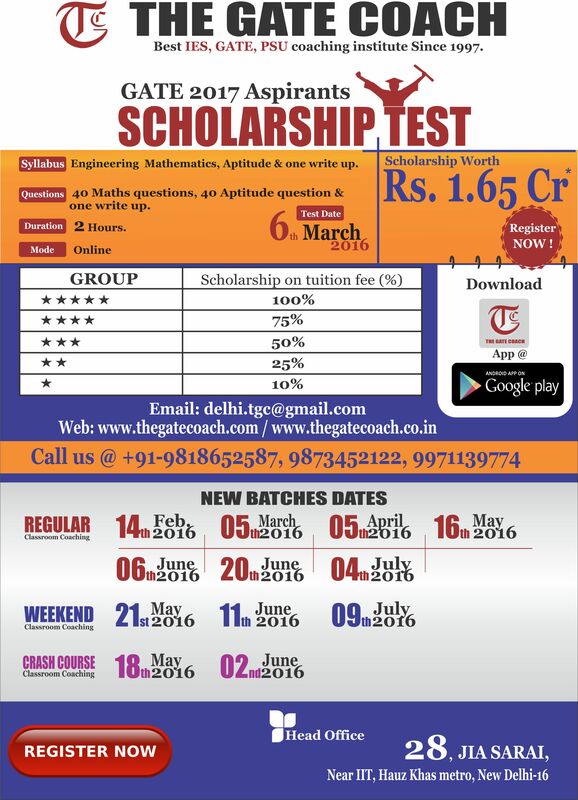 Hello Guys, You’re looking for admission in Masters after GATE 2016 Results. For M.Tech admissions in IITs, you have to apply in each IIT separately, and the forms will be available just after GATE Result i.e. March 19, 2016. (Please visit the sites ASAP because the application deadline may come). than there new IITs, you can visit there websites. and yes, there are two more colleges equivalent to IIT Bombay as follows:. this is the institute where you get specialization in “Industrial engineering or Safety” etc. it is one of the better institute in INDIA. And please do discuss after your GATE results whatever it is, so that we can guide you better opportunities as per your GATE Score. This is for those talented engineering graduates who prepares for prominent engineering service examination, public sectors, IITs etc. But due to adverse economic conditions, these students are unable to take coaching guidance; therefore THE GATE COACH has taken an initiative to acknowledge the talented students in the form of scholarships. THE GATE COACH has decided to offer scholarships to those students, who are good in their Academics. Besides, also for those students who maintains uniformity in their regular studies.